Those jokers in the motion picture industry said it would never happen, but at long last Jim Rage’s Elite Zombie Hunting Squad: The Movie is headed toward a silver screen near you! Yes, you! True to his word, our new agent and tireless promoter Jonathan “Cash” Hollywood Jr. has secured the green light for a feature film adaptation of the inspiring story of JREZHS. The film has an approved budget of $200 million dollars and is scheduled for release sometime in July of 2008. Although the script has yet to be finalized, the plot has been described as “Spider-Man 3 meets House Party, an outrageous dark comedy about living and loving in the post 9/11 world.” Possible titles include JREZHS: The Portal Through Time and JREZHS: Judge, Jury, and Executioner. As of this report, no director has been attached to the project although Tim Story, visionary director of Fantastic Four: Rise of the Silver Surfer, has expressed interest. On his way to an extremely important luncheon with other famous Hollywood types, Story took the time to make a few comments. “Yes, I’m definitely considering it,” said Story, looking relaxed and confident in his trademark baseball cap. “The story of Jim Rage and his zombie hunters is a powerful saga of triumph and friendship - just like my film Taxi.” Story was about to say more when a slobbering mob of crazed fans stampeded across the street and swept him away like a human tsunami. Well Tim, Good luck from all of us here at JREZHS! Godspeed! And as if all that weren’t exciting enough, many famous actors and actresses have come forward to audition for roles in the film! The casting process has been kept top secret to avoid tabloid rumors, but “Cash” Hollywood Jr. has pulled a few strings and allowed us to print some of the names here on our website. 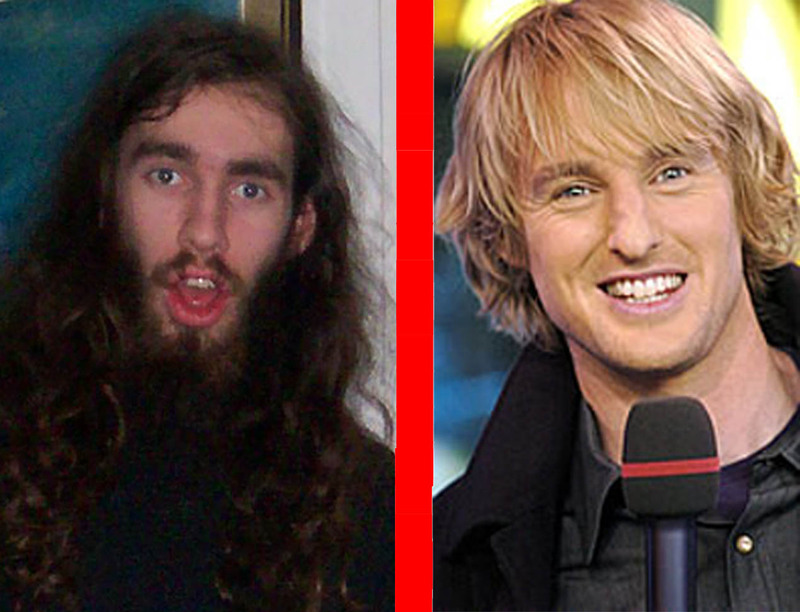 First off, The Mad Hatter and Drew “The Tough Noun” Parazynski will be played by “Frat Pack” members and America’s favorite funnymen, Owen Wilson and Will Ferrell. 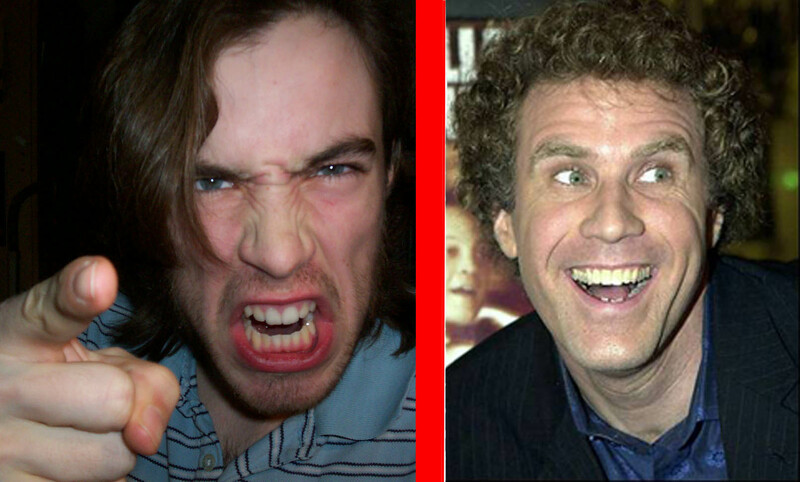 Wilson and Ferrell were unavailable for comment, but it is expected that the duo will strengthen the film with their wacky antics and zany comic talents. 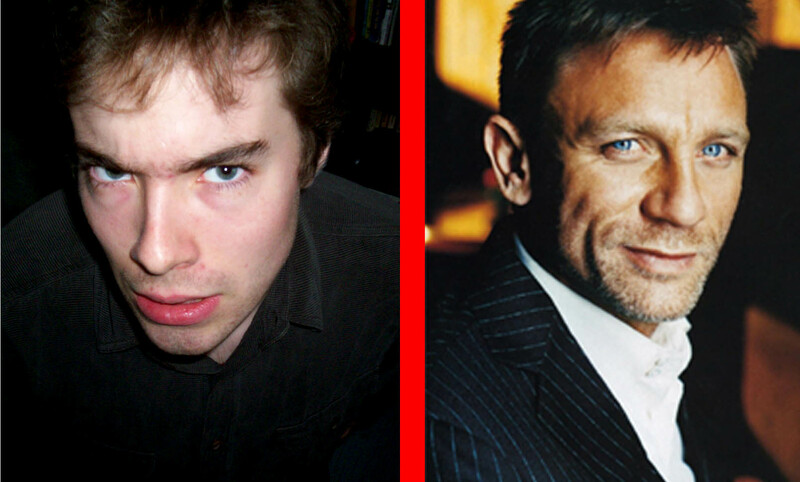 Ben “Bloodscorn” Parazynski will be portrayed by British actor Daniel Craig, who has already started training for the role. 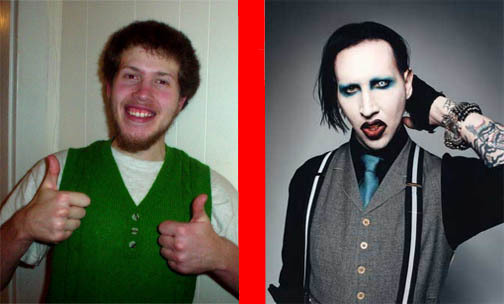 Says Craig, “I’m working out tw elve hours a day, as well as learning to swordfight and practicing my yo-yo skills – anything to help prepare for my role as Ben!” Baxter Black will be played by musician Marilyn Manson, who apparently lobbied hard for the role. “Baxter’s mutilated and twisted soul mirrors my own inner darkness,” revealed Manson at a recent press conference. “His happy smiles masks tears of bitter woe, and I am proud to portray such depravity on screen.” Manson proceeded to mumble incoherently and hide his face underneath a large black bath towel. Both Ben and Drew Paraqzynski (no realtion) will be credited under the name "Peberdy" for totally unrelated reasons. We are sad to report that Jono Thomas will not be appearing in t he film. His agent Kevin Carmichael told us yesterday that he was unable to negotiate a contract with satisfactory percentage of the earnings and the option for the Jono and the Scorpion’s Pearl spin-off movie, and consequently Jono will not be portrayed in theJREZHS feature. Instead, he will be replaced by an original character named Jill “Taggert” Delamere, played by super-sensation Scarlet Johansson – who demands to be taken seriously.